From new car market, used car market to the automotive aftermarket as a whole, the size of the behemoth is as much as multi-trillion yuan. In China, the automotive finance rate reaches 38%, which is far lower than the average (which is above 50%) in other economies such as the States and Europe. Taking in account the financial demand of automotive manufacturers and dealers, China’s automotive finance represent a huge market to get in. Nowadays the internet automotive market plays a meaningful role in terms of capitals involved. Despite that, the automotive finance will still have to address the risk of market in terms of financial operations and credits. Focusing on these arguments, China International Automotive Finance and Risk Management Summit has been planned on March 22/23 2018 in Shanghai, China. 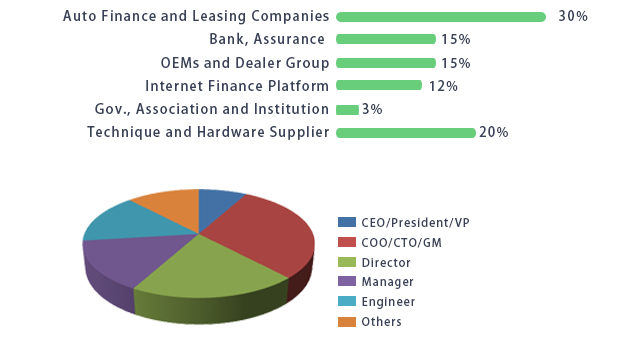 The summit will discuss the development trends of the Chinese automotive finance; it will analyze the innovative development of the automotive supply chain finance, dive deep into the endeavors made upon establishing a credit scoring system, risk control & management, post-loan management and profit model by key finance players. At same time the event will bring together national and international top tech services and providers under one roof, to boost networking and business opportunities.